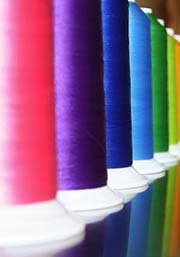 Since 1954, our forte has been to support full line fabric stores with their sewing, notion and decorative trim needs. We offer promotions on a consistent basis, with prices meant to keep you competitive with the national chains. Improve your margin and product mix by joining thousands of the nations most successful independent fabric stores using Delaware Dry Goods as your notions supplier. Welcome to Delaware Dry Goods! Americas largest distributor and importer of brand name sewing notions, quilting supplies, needlecraft products, and workroom supplies. To become a customer, please download our Credit Application and New Account Policy below. Be sure to sign the credit application and email or fax it to us for our prompt attention. You must be a valid business to purchase from Delaware D.G. Co. Your account will be activated when you place your first order. Just visit our online store and fill in your order, and you're done!